Sent mine in last Friday, got it back Tuesday. Everything seems to be working OK. They uninstalled my AV and Malwarebytes. My only question is if it happened once will it happen again? Is this model doomed to fail again in the future? I'm having the same problem. Dell tech support has been of no help. This is a shame that it is clearly a manufacturing issue and that they refuse to properly replace their flaws. This is my second XPS and I thought it would live up to its name, but I am very disappointed in the quality and in they way Dell does not take responsibility for its products. The sad part is that Dell will read these comments and still not act to rectify their problem. It's a shame. Here at the company I work at, we have about 30 of the Dell XPS 9550s. Our first user experience the DELL battery bloat issue. I spent 3 hours being transferred around on the Dell chat support and ultimately was told to call the out-of-warranty support team no can chat and get my issue resolved. Of course, this happened on a laptop that warranty support expired. 2 months ago. Dell clearly has a bad batch of batteries. And pretending to wash their hands of the issue saying "it's not our problem because someone else made the battery" is utter and complete hogwash. 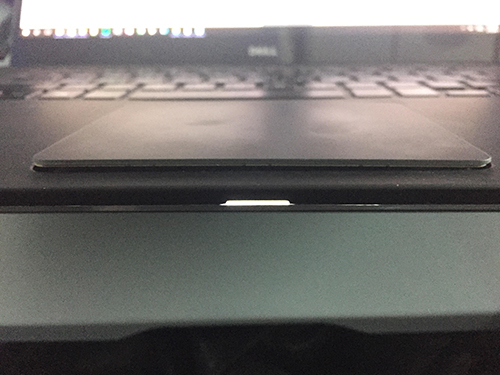 Dell, you put the battery in your laptop, it's your problem. Yeah, go spank the battery manufacturer for building a <profanity> product. I expect you to do that. But don't pass the problem on to your users. I get that this laptop is out of warranty. I get that I need to pay to have Dell service it in an single incident purchase price. But Dell refuses to sell me a battery directly nor will Tech support touch it. So either grey market purchase a replacement battery. Dell Support use to be awesome. I am constantly transferred from team to team to team and right back to the first team which tried to get rid of me as fast as they could the first time around. Your support services <profanity> and it's a shame; it used to be the one thing you could count on with Dell. Now you're better off purchasing a laptop from somewhere like Best Buy, and getting their squad support package, because they'll at least honor it in-store. When Dell called me after I get my computer back, they mentioned that they put in a different model battery. There is a nice command you can run (powercfg /batteryreport) which generates a "battery report". This actually tells you the manufacturer and model of battery you have installed. Fortunately I had run this prior to sending mine in. The original battery was manufactured by SMP and was a Lithium Polymer type. These seem to be what Apple used in their MacBooks. The new battery is manufactured by LGC and is a Lithium-Ion type. Microsoft used these in their Surface Pro tablets and they had issues with them. Hopefully this one will not get bloated. I have the same issue as eelton1. XPS 15 9550 purchased in February of 2016. Touchpad is being forced out of the chassis by the swelling battery. Just noticed it a couple of days ago and I'm on a flight to Argentina where I'll be for the next 6-8 months. This is not what I expected after only one year of use when I dropped over $3000 on a high end "signature series" laptop. Called Dell support today and after they were done playing hot potato with me, the 5th person I had to repeat my service tag number to told me they could only sell me a refurbished battery but couldn't rush deliver it in order for it to arrive before my flight on Monday, There are also no 3rd party batteries available on Amazon Prime either, so basically I'm SOL. I guess I'll just wait until the battery explodes or catches fire and then you can sign me up for the class action. 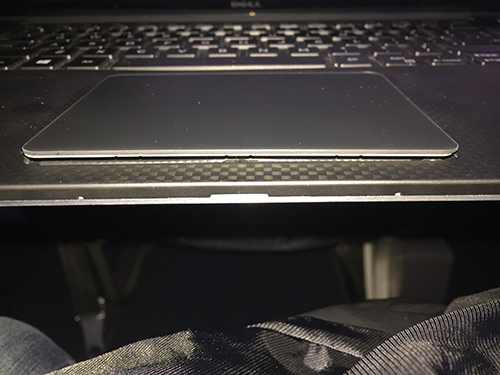 Really disappointed with Dell overall and regret not buying a 15" Macbook instead. I have the same issue as Eelton1 and I purchased my XPS in April 2016. 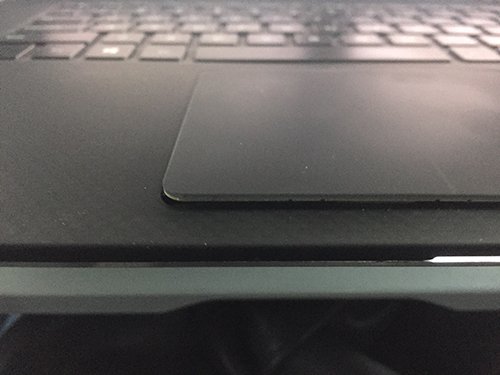 The touchpad is forcing my trackpad up. Dell better help replace it after I spend so much money buying its premium laptop. I got this answer to my issue of a the touchpad raising 3mm making my high end super expensive laptop a very big and expensive paperweight. "Thank you for the service tag. While we understand that the battery has swollen and this is disconcerting, this is a consumable part and degradation might occur based on customer usage. We offer warranty services for system-related issues and since the warranty has expired on the machine, we would be unable to replace the battery on the machine within warranty. We request you to contact the expired warranty support and purchase a replacement battery to avoid other problems on the machine." This can not be right...right?